You can use the handsfree barcode reader built-in with the HMT to scan barcodes. Supported Barcode Types are — UPC, EAN, QR Code, Data Matrix, and Code 128. When launched, the barcode reader automatically scans any supported barcode that is detected and displays the details automatically. 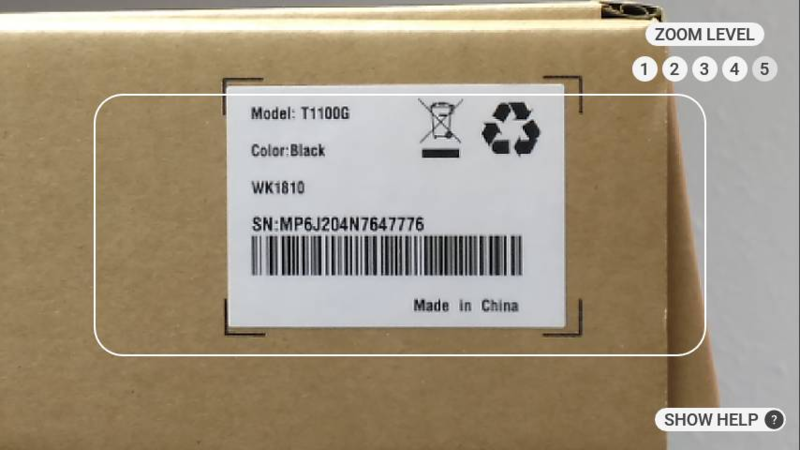 Point the camera at the barcode ensuring that the entire barcode is within the white rectangle with rounded edges. You can also scan QR codes that contain RealWear bookmarks, URLs, and application codes to open the respective items. You can turn or or off the HMT Flashlight by saying “FLASHLIGHT ON” or “FLASHLIGHT OFF” while Barcode Reader is open. 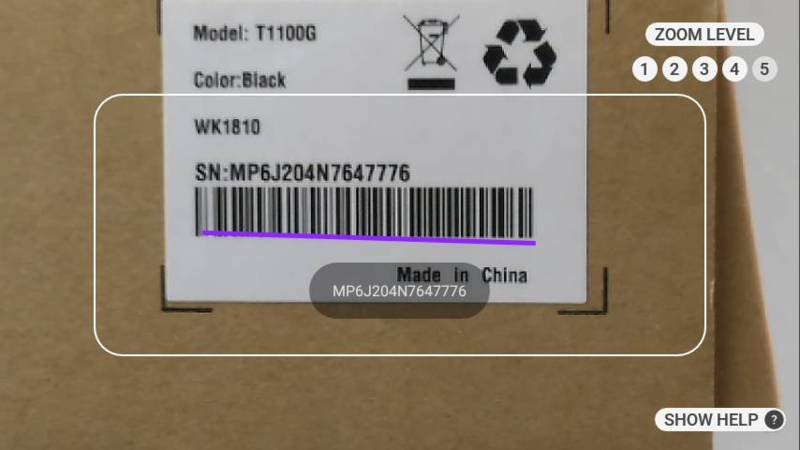 Tip: Use zoom control to more easily frame and read some barcodes. For example, to set the zoom level to 4, say “Zoom level 4”. “Flashlight ON/ OFF” Switches On/Off flashlight.